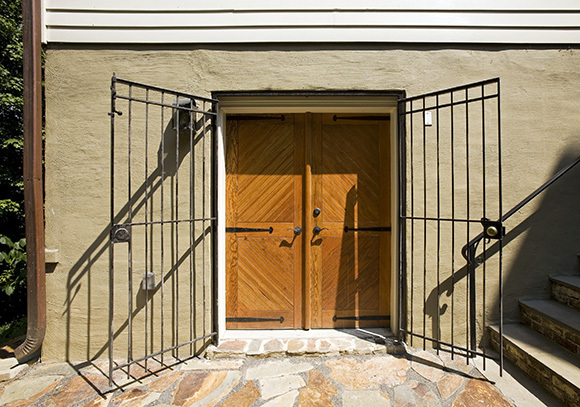 It may look like the entrance to a European courtyard, but these gates and doors lead to an avid collector’s wine cellar; part of a larger remodel we did for this client. Interior temperature, light and humidity are carefully controlled behind closed doors… At this home, you never know what you’re going to find when you go around a corner. For more detail on this project, check out our “Quaint Cottage” in the Auxiliary Structures category.